Louis Oosthuizen is favourite in the Alfred Dunhill Championship betting, as its welcomed back to the European Tour this weekend at Leopard Creek Country Club. It's a venue which is every bit as good as its word, because wildlife is what makes this location special. It’s one part golf, two parts safari and big names adorn the trophy. Nick Price, Adam Scott, Justin Rose and Ernie Els have all won it, though only Els did so at Leopard Creek - Charl Schwartzel trumping him with four wins. A par-72 of 7,287-yards, the Leopard Creek Country Club is owned by Johann Rupert, the South African businessman behind the Alfred Dunhill company that sponsors the Championship. Surrounded by bush, hippos, crocodiles and lions can be seen from the fairways, although they are not strictly speaking hazards. The changes have been quite extensive: a total redesign of the par-3 12th, many alterations to the fairway bunkering, Kikuyu grass replaced by Bermuda on the fairways, and Champion bent grass introduced on the greens. 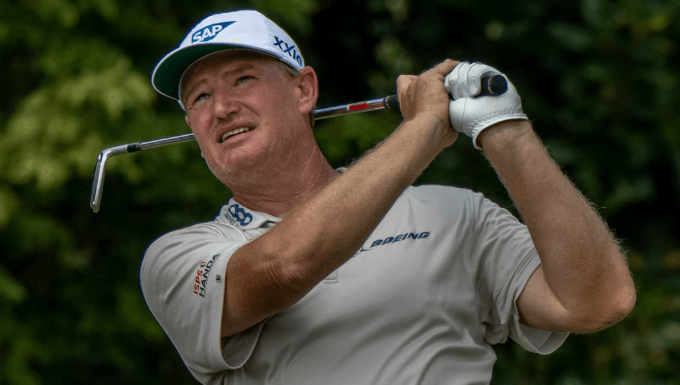 In last week’s South African Open, I previewed the top four and plumbed for Matt Wallace ahead of the three South Africans. He got himself into contention after 54 holes, but drifted in the final round as Louis Oosthuizen swept clear of the field. What to make of the same Big Four this week? Oosthuizen (5/1 Paddy Power) has a bizarre course record: second in 2005 but since then, with the exception of another second in 2014, he’s missed six cuts and had to withdraw once. Branden Grace (9/1 William Hill) struggled badly with the course in his first four visits, but has never been outside the top 20 since, including a win in 2014. Wallace (12/1 Ladbrokes) missed the cut in his only previous tournament start and shot 74 in round four last week. They make for an enigmatic quartet, one I prefer to dodge and look elsewhere for picks in the Alfred Dunhill Championship betting, but there are numbers there which might appeal to some. This week not only marks the end of European Tour action ahead of the holiday, it also sees the Staysure Tour (the European senior circuit) conclude its season, and in a pre-tournament press conference eight stars were asked which player they were most looking forward to shortly joining their ranks. “Ernie Els” was the common response, and they added that word on tour has it that the Big Easy is as excited about the prospect himself. With that in mind he will be looking to be competitive when he turns 50 next year, and he’ll also be fully aware that he has diminishing opportunities at favourite old haunts, of which Leopard Creek is very definitely one. Admittedly he hasn’t been back since 2009, but in six visits he has racked up one win, one second and one third. He’s also been eighth and ninth. His most recent experience was T17th when he was second heading into the final round. We can take it that he likes the track and also that he warmed up nicely with T15th in last week’s South African Open. Take the 50/1 with PaddyPower that returns eight places. This time last year Tapio Pulkkanen (80/1 Unibet) gave his rookie campaign on the European Tour an early boost with third place in the Joburg Open and whilst last week’s T15th in the South African Open was not as lucrative it was a nice effort and he can go well on his debut at Leopard Creek. A big-hitter and streaky putter he has much the same profile as Alvaro Quiros who won this event shortly after graduating from Challenge Tour, as Pulkkanen at the end of 2017. That step-up in class was one goal ticked, retention of his card in 2018 was a second and he is now seeking the hat-trick: He wants a main tour win. He’s 80/1 with Unibet, who pay down to sixth place.